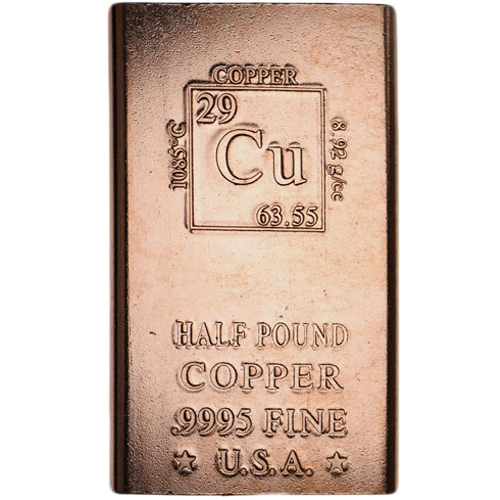 carry a wide range of copper bars including the 1/2 pound copper bars featured here. Each of these bars is made of .999 fine copper and weigh 8 avoirdupois ounces each. Though copper bullion isn’t as popular as silver or gold, many see copper as “the next silver.” Increased demand, a lower supply and changes in policy throughout the world has made copper a great option for those interested in new ways to diversify their collections. 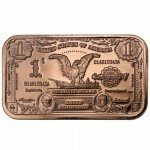 Even if you are new to the world of copper bullion, you will find that the 1/2 pound copper bars that are now available are a perfect introduction to this type of hobby and investment. 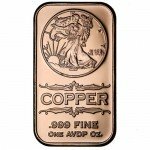 The copper bullion bars that are available here come in a variety of designs and will come from the brand of our choice. These are brand new bars in top condition and perfect for those looking for a gift or for investors looking for bulk amounts of pure copper. 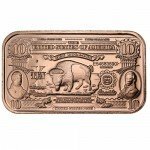 You will find that copper is a bit different than other bullion bars and will possibly tarnish when handled too much or when stored in areas that are humid or warm. Since this is the case, it is recommended that you store your copper bars in plastic sleeves and that you always wear gloves when handling them. 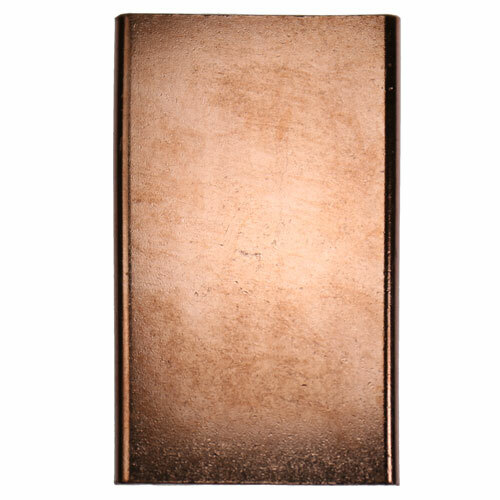 These 1/2 pound copper bars are the ideal choice for those looking to get into copper collecting. Each bar is selected with care, packed professionally and shipped via flat-rate shipping. Insurance is always included in the cost of shipping, and your copper bars will be protected from theft, loss and damage. If you have questions or concerns about the copper bullion we offer, we invite you to contact our team at your convenience via telephone, email or through our online chat feature. 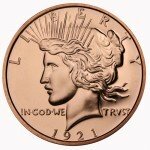 Copper bars make a great investment and will bring diversity to any collection.